It’s Restock season and with Eastbay making headlines with their recent announcement, Footlocker is also getting ready to unload a plethora of sneakers come April 19th. Most of the shoes available will be sizes 15 and up but if you missed out on the White Infrared Vi or Powder Blue 3, then you’re in luck as all sizes will be available. 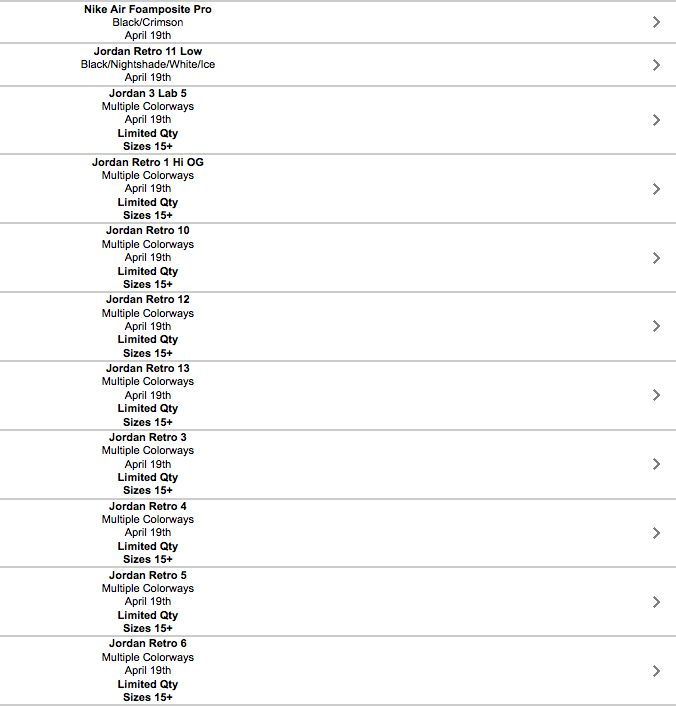 Look at the list below for all of the releases and let us know which ones you’ll be scooping up. You realize Foot Locker and Eastbay are the same company, right?